Pre-nuptial agreements are an agreement between a couple about their property and what will happen to it if they should get a divorce. All people get married believing they'll do so for the rest of their lives together, so when one asks the other for a pre-nuptial agreement it feels like they're contradicting their vows. It is not very romantic and it does raise trust issues when talking about pre-nuptial agreements, but on the positive side, it allows a couple to determine each other's security without a veil of bad emotions. Such an agreement could cause division, but it could also strengthen a relationship with financial issues settled and on paper. One valid reason to get a pre-nuptial agreement is when it's someone's second or third marriage and they have children from previous marriages. In this scenario a pre-nuptial agreement could protect the inheritance rights of those children. This way the spouse can more easily leave property to children they brought into the marriage. An agreement like this can also define which property is the property of both parties, and which property is jointly owned. This might help if a person owned property that his or her children might have an interest. A pre-nuptial agreement could also spell out specific agreements between the couple that may or may not relate to specific property. Other reasons to get an agreement would be if one party were giving up a lucrative career for the marriage, that person might want some protection. Also one person might own a great deal of property, or a big business that a lot of people depend on, which would need to be protected if a marriage didn't work out. Some lawyers advise that it is good to talk about issues such as property, money and what could possibly happen, even if an agreement isn't needed. Having these things worked out ahead of the marriage could actually make it stronger. Ultimately whether to actually sign the agreement is a matter of personal preference and conviction. It could also establish ground rules for negotiating future issues that you may not know about at the time. The downside of such an agreement is that it does offer a way out of a marriage, which some people may not consider a bad thing. This is a very sensitive and personal issues for many people getting married, and a skilled attorney would advice their clients properly in light of that. For many, a pre-nuptial agreement depends on their personal definition and beliefs concerning marriage. Timing is also an issue. Young people who are both just starting their careers, there may not be a real need to make such an agreement, while older, more financial stable families may see it as a requirement. 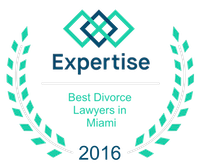 Regardless of the decision, it's wise to contact a family law attorney who is well versed in pre-nuptial agreements. Also check into state laws as some states may already have protections you need in place.